Do you like Isla Espíritu Santo? 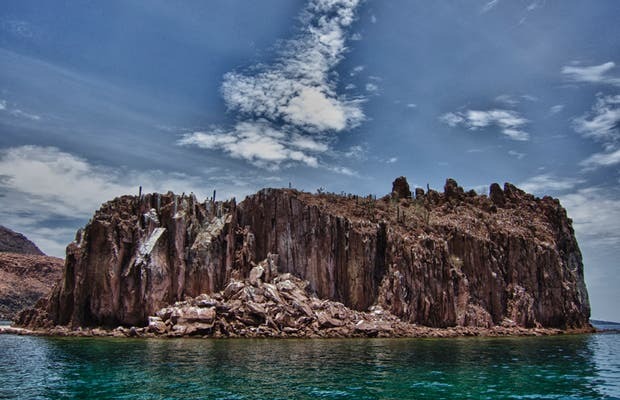 We began the walk in La Paz, we took a panga, all very organized, payed the fee in order to visit the "protected zone" with all the necessary safety standards. We traveled around the whole archipelago, made a stop at the beach Candlestick, where we ate a delicious ceviche that our guides carried for us. We snorkeled with sea lions and saw all kinds of birds and fish of many different colors. It was an unforgettable experience. Casa de la Cultura Conrado Espinoza.